that very special perfumes to our wines. Chardonnay D.O.C. Venezia Bio Vegan Grape variety 100% Chardonnay, cultivated in the Provinces of Treviso and Venice. Origin one of the world’s most widespread vine varietals which, especially in North-East Italy, has achieved remarkable winemaking standing. Winemaking Chardonnay DOC Venezia Bio-Vegan grapes are harvested when perfect ripeness balance is reached. The bunches are taken to the cellar, where they are de-stemmed and crushed, and then placed in a pneumatic press to undergo brief skin contact. Must is then separated from the skin and, once cool, left to decant. 36 hours later, clarified must fermentation is triggered with temperature 14-16°C. Temperature is lowered to around 8-10°C when alcoholic fermentation is over in order to preserve the aromatic part. Storage and ageing must be stored in a cool and preferably dark place; as time goes by, the aromatic sensations evolve from fresh fruit notes to olfactive maturity which privileges complexity rather than fruit. Colour beautiful intense straw yellow. Bouquet refined, with distinct green apple, golden apple and cedro notes, followed by intriguing floral sensations, especially acacia. Flavour releases a refined combination of acidity and softness, followed by intriguing tanginess and persistence. Alcohol content 12.5% vol. Optimal serving temperature 8-10°C Gastronomic matches excellent with fish starters, cured ham and speck, and with first courses served with seasonal vegetable sauces. Packaging in 75 cl bordolese reale bottles in boxes of 6. Pinot Grigio D.O.C. delle Venezie Bio Vegan Grape variety 100% Pinot Grigio, cultivated in the Provinces of Treviso and Venice. Origin a vine varietal originating from an area situated between Alsace (Pinot Gris) and Germany (Rulander). In Italy it is especially cultivated in the Provinces of Treviso and Venice, where it has become widespread in winemaking and now boasts a new world-famous presentation style. Winemaking grapes are harvested when perfect ripeness balance is reached. The bunches are taken to the cellar, where they are de-stemmed and crushed, and then placed in a pneumatic press where must is separated from the skin and, once cool, left to decant. 24-36 hours later, clarified must fermentation is triggered with temperature 16-18Â°C. Temperature is lowered to around 8-10Â°C when alcoholic fermentation is over in order to preserve the aromatic part. Storage and ageing must be stored in a cool and preferably dark place; during the following year, the aromatic notes evolve into olfactive maturity which privileges complexity rather than fruit. Colour beautiful straw yellow with appealing greenish reflections. Bouquet a distinctive refined exotic fruit- apple note, and gentle scents recalling white flowers. Flavour refined acidity followed by appealing tanginess and persistence; after swallowing, afternose excellently corresponds to initial nose perception. Alcohol content 12.5% vol. Optimal serving temperature 8-12Â°C Gastronomic matches excellent with fish starters, cured ham and speck, and with first courses served with seasonal vegetable sauces. Packaging in 75 cl bordolese reale bottles in boxes of 6. Cabernet Franc I.G.T. Veneto Grape variety 100% Cabernet Franc Origin vineyards in the Treviso countryside. Winemaking early grape harvest to preserve the classic grassy aroma. Slow fermentation through temperature control of the must in order to enhance the wine’s fragrance. Storage and ageing in the cellar, at controlled humidity and a temperature of 10-12°C. It is recommended that it is drunk within two years of purchase. Colour intense ruby red colour bordering on purplish. Bouquet intense varietal grassy overtone, combined with nuances of red fruits such as cherry and blackberries, accompanied by the classic aroma of green peppers. Flavour dry and well balanced between the body and acidity that supports it. Alcohol content 12% vol. Optimal serving temperature 16-18°C Gastronomic matches excellent with grilled white meats like chicken. Goes well with all traditional pasta and rice dishes and most roasted or braised meats. Packaging in 75 cl bordolese reale bottles in boxes of 6. 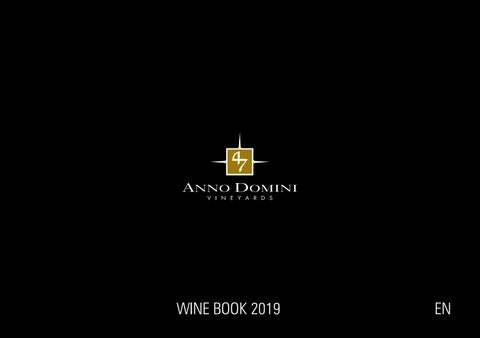 The Winemaker’s notes... the last harvest was preceded by a season that was unusually hot that provided us with healthy grapes that were fantastic in terms of their acidity and sugar balance. The winemaking technique used allowed us to maintain all the typically special characteristics of freshness and grassiness of a true Cabernet Franc. Gastronomic matches the aromas and elegant fruity flavour make Refosco an excellent wine to be served with grilled and stewed red meats. Packaging in 75 cl bordolese reale bottles in boxes of 6. The Winemaker’s notes... with the fermentation in contact with the skins at low temperature, we were able to enhance the varietal characteristics that make Refosco dal Peduncolo Rosso a fruity wine with fresh aromas that wins over demanding palates, whilst respecting the wine’s natural properties. Cabernet Sauvignon D.O.C. Venezia Bio Vegan Grape variety 100% Cabernet Sauvignon Origin Cabernet Sauvignon, cultivated in the Provinces of Treviso and Venice. Cabernet Sauvignon vine varietal originates from the Bordaux area, and is one of the world’s most widespread; in North-East Italy it yields highly appealing refined wines. Winemaking harvesting can only start once perfect sugar/polyphenol ripeness balance is achieved. The grapes reach the cellar, are crushed, and left to ferment in stainless steel tanks. Fermentation temperature is controlled, and must not exceed 24-26°C. Automatic daily re-assemblage and pauses are performed as per Oenologist’s directions for each vintage. “Delestage” is carried out between the fourth and sixth day of the fermentation stage. Once alcoholic fermentation and extraction are completed, it is time for racking and skin crushing, and for creating the conditions promoting malolactic fermentation. When also this fermentation stage is over, decanting is carried out to choose the best moment for bottling Cabernet Sauvignon DOC Venezia Bio-Vegan. Following bottling, it builds up character by ageing at least 2 months in the bottle before being introduced to our customers. Storage and ageing must be stored in a cool and preferably dark place. Colour beautiful intense deep red, with appealing purple reflections. Bouquet sharp, intense, refined with distinctive fresh vegetable notes recalling green pepper, followed by red fruit notes, especially blueberry, blackberry, and plum. Flavour powerful, warm, intense, with a refined blend of structure, acidity and slight astringency. The outcome is full, rich, excellently lingering. Alcohol content 13.5% vol. Optimal serving temperature 16-18°C Gastronomic matches excellent accompaniment to meat dishes, specifically braised and roast options; perfect with game. Packaging in 75 cl bordolese reale bottles in boxes of 6.
highly balanced taste, yet so complex in all regards: the linearity in the moth is accompanied by notes of ripe fruit that fade into pleasant nuances of toasted hazelnut, vanilla and honey. Chardonnay D.O.C. Piave “Linea sottovoce” Grape variety Chardonnay is one of the most widespread white grape varieties in the wine world. It is a vine which is very adaptable to the territory where it is raised and from which it draws what is necessary to differentiate from area to area. Origin the Chardonnay vine is a white grape variety from the winegrowing area of Burgundy in France. Winemaking when the grapes are perfectly matured, the harvest begins. The grapes arrive in the cellar to be destemmed and crushed and placed in the bladder press where there is a pause, with the skins, for about 4-8 hours before the pressing cycle is started. The must obtained is cooled and decanted. The alcoholic fermentation starts on the clear must and at the end of this the temperature is lowered to about 8-10° C. In January 2/3 of the Chardonnay DOC Piave are placed in small carats of second and third passage wood where it begins a slow maturation in wood, for a period ranging between 6 and 12 months. When our oenologists consider a perfect balance between smell and taste has been reached, they decide on the assembly with the third part of the Chardonnay DOC Piave that was maturing in steel. The wine is then left to rest for at least 3-4 months before being bottled for a further refinement of 3 months before being offered to our customers. Storage and ageing Chardonnay DOC Piave Sottovoce must be stored in a cool place and preferably in the dark to ensure maximum integrity and longevity. Colour bright and lively with pleasant golden-yellow hues that are typically indicative of a white wine aged in wood. Bouquet the olfactory impact is elegant and complex, initially the ripe fruit notes prevail and then fade into pleasing nuances that recall toasted hazelnut, vanilla and light honey sensations. Flavour excellent initial acidity, then it is long, deep, sapid and persistent, with a notable linearity in the mouth. Alcohol content 13.5% vol. Optimal serving temperature 10-14°C Gastronomic matches it goes well with stewed fish and fresh sheep’s milk cheeses or moderately seasoned cow’s milk cheeses. Packaging in 75cl borgognotta bottles, in cases of 6.
define the assembly of Pinot Noir refined in the different types and capacities of woods. The wine obtained from the assembly is left to rest for 2 months and then bottled, where it matures for another 3 months before being offered to our customers. Storage and ageing Pinot Nero IGT Veneto Sottovoce 47 Anno Domini must be stored in a cool place and preferably in the dark to ensure maximum integrity and longevity. Colour this wine appears lively, with a pleasant ruby hue and light garnet reflections. Bouquet the olfactory impact is elegant and complex; Pinot Nero Sottovoce has the perfect combination of the sensations of red fruit (cherry, blackberries, currants) and of aging in wood, with refined notes of tobacco, coffee, cocoa, and vanilla. Flavour excellent attack, full bodied, slightly acidic, well balanced, persistent, with a slight tannic sensation that helps keep the mouth clean. Alcohol content 13% vol. Optimal serving temperature 16-18°C Gastronomic matches Pinot Nero Sottovoce 47 Anno Domini goes perfectly with game and roast duck, but finds its ideal companion in seasoned cheeses. Very satisfying paired with first courses which have meat sauce and with cold cuts. Packaging in 75cl borgognotta bottles, in cases of 6. Sauvignon I.G.T. Tre Venezie “Linea Sottovoce” Grape variety 100% Sauvignon Origin vineyards in the Treviso countryside. Winemaking selected and healthy grapes; winemaking is done in just a few days in steel tanks. After the alcoholic fermentation, it is still kept in steel vats before carrying out the filtering processes before bottling. Storage and ageing in the cellar, at controlled humidity and a temperature of 1012°C. It is recommended that it is drunk young. Colour deep straw yellow with lime green highlights. Bouquet intense spiced nuances of peppers, sage, elderflower and tomato leaf typical of the characteristics of the grape variety. Flavour dry and almost austere with sustained acidity. Alcohol content 12% vol. Optimal serving temperature 10-12°C Gastronomic matches suitable with all pasta and rice dishes, also as soups with beans, for example. Goes well with all white meats, also served with light sauces. Excellent with baked oily fish. Packaging in 75 cl bordolese reale bottles in boxes of 6. The Winemaker’s notes... the Sauvignon grape variety is difficult due to its nature and the grapes are usually strong and green, forcing the winemaker to use controlled, low temperature processes and a small amount of the must remaining on the skins to guarantee that the wine will have the typical, varietal organoleptic characteristics..
assemble with other vines. This year I adopted a known technique, albeit not widespread, to ensure that the content of the bunches was transferred as well as possible into the wine. A decision was made to work with dry ice. Using this technique, as soon as the skin of the grapes comes into contact with the ice in the form of pellets, a shock is created, when the state changes from solid to gaseous. This shock breaks down the cell walls and allows the substances contained inside them to leak out, whilst the interior remains preserved. Prosecco D.O.C. Frizzante Bio Vegan Grape variety Glera from 85% to 100%; in addition, according to guidelines, Chardonnay, Pinot bianco, and Pinot grigio are allowed up to maximum 15%. Origin the Provinces of Treviso, Padua, Belluno, Venice, and Vicenza for Veneto Region, and the Provinces of Gorizia, Pordenone, Trieste, and Udine for Friuli Venezia Giulia Region. Winemaking accurately harvested Glera Bio-Vegan grapes reach the cellar, where they are transformed into must in which primary fermentation takes place, followed by decanting stages to clarify the wine that will later become spumante (sparkling) with the foam-formation stage. Sparkling wine technique the sugar needed for foam formation is added to the â&#x20AC;&#x153;baseâ&#x20AC;? wine before the same is placed in an autoclave where secondary fermentation takes place to reach 2.00-2.50 atm overpressure. 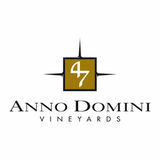 It is right then that 47 Anno Domini Prosecco D.O.C. Frizzante Bio-Vegan is born. Storage and ageing must be stored in a cool and preferably dark place, top aromatic freshness is released within the first year of bottling. Colour intense straw yellow, with appealing foam when poured, followed by appealing bubbles. Bouquet fine, with pleasant fruity notes recalling golden apple, followed by intriguing floral sensations, especially rose. Flavour appealing sweet/sour sensations well supported by final tanginess, nose sensations excellently perceived in afternose. Alcohol content 11% vol. Optimal serving temperature 8-12Â°C Gastronomic matches excellent alone as an aperitif with assorted appetizers. Suitable for accompanying all fish dishes, except tomato sauce/stewed options. Packaging in 75 cl tappo raso bottles with standard corks in boxes of 6. Prosecco D.O.C. Frizzante Grape variety 85% Glera, and, as required by the law, up to a 15% of the following grapes: Chardonnay, Pinot Bianco, Pinot Grigio, Pinot Nero vinified in white, Verdiso, Bianchetta Trevigiana, Perera, long glera all the grapes are harvested in our wineyards. Origin the provinces of Treviso, Padua, Belluno, Venice, Vicenza for the Veneto Region, and the provinces of Gorizia, Pordenone, Trieste and Udine for the region Friuli Venezia Giulia. Winemaking selected and healthy grapes; winemaking in 4 days in steel tanks. After the alcoholic fermentation, it is put into pressurised vats at a controlled temperature for the secondary fermentation. The wine is then filtered and decanted before being bottled. Storage and ageing in the cellar, at controlled humidity and a temperature of 10-12°C. It is recommended that it is always drank young, within 1 year of purchase. Colour straw yellow. Bouquet pleasant, light, fine and delicate, fruity, with a characteristic bouquet of apple. Flavour dry and velvety, fresh, vibrant and fruity, full-bodied, harmonic, excellent acidity and alcohol, excellent longlasting flavour, to be drunk young. Alcohol content 11% vol. Optimal serving temperature 8-12°C Gastronomic matches a classic Venetian aperitif, ideal with all meatbased starters, sausages, seafood salad and fish and shellfish pasta and rice courses. Perfect with white meats, grilled, boiled or fried fish. Packaging in 75 cl tappo raso bottles with standard corks in boxes of 6. The Winemaker’s notes... contrary to usual, this year we had smaller grapes, which allowed us to make a wine that’s even more intense and delicate in terms of its bouquet. We achieved the desired result by paying considerable attention during the pressing stage, using less pressure. wines. The wine is transferred into an autoclave at a controlled temperature of 14-15°C where it accomplishes the second fermentation. When the pressure reaches 5 Atm, it is subjected to cold stabilization at a temperature of -2 to -0°C. Filtration and bottling then follows. Storage and ageing it needs to be best stored in a cool and dark cellar – note that its peak of aromatic freshness is expressed within the first year of bottling. Colour to the eye, a nice level of froth is apparent, a good tone of straw yellow with hues of green is noticeable. Good perlage, brilliant and lively in the glass. Bouquet the impact is elegant, clear fruity notes of sour apple, acacia and glycine are perceived. Flavour a delicate agreeable sensation at the mouth entry is followed by an excellent acidic taste. This full bodied, harmonic and balanced Valdobbiadene-Conegliano Prosecco Superiore D.O.C.G. Extra Dry has a very good persistence. Alcohol content 11% vol. 18 g/l is its sugar content Optimal serving temperature 4-6°C Gastronomic matches ideal as an aperitif. It matches perfectly with fish hours d’ouvres, crustaceans and with fish and vegetables risottos. Excellent with custard pastries and dried cakes of all types. Packaging in 75 cl flute bottles in boxes of 6. Asolo Prosecco Superiore D.O.C.G. Brut Grape variety 100% Glera. Origin hilly area in the Province of Treviso, stretching between Asolo and the Montello Hill. Winemaking grapes are harvested when almost perfectly ripe, in order to achieve high acid content able to provide a superior fresh taste. They are then taken to the vinification cellar where they are de-stemmed and crushed and then placed in a soft press. Must is immediately separated from the skin, cooled, and clarified. Fermentation yeasts are added to the must to achieve alcoholic fermentation - temperature is kept within 18-20°C. Once the stage is completed, temperature is lowered to 8-10°C in the new wine, and customary decanting is performed to obtain the sparkling base for ASOLO Prosecco Superiore DOCG. Sparkling wine technique the sparkling base wine is filtered and completed with the sugar needed for foam formation, along with yeasts suitable for making sparkling wine. It is then transferred into an autoclave for refermentation, temperature 15°16°C, to reach 6 atm. Such stage is followed by -2-0°C cold stabilisation, and by filtering and bottling. Storage and ageing store in a cool and preferably dark place. Colour straw yellow with appealing greenish reflections; boasts appealing foam and fine persistent bubbles when served. Bouquet refined, fine, complex, excellent citrus and flower notes, especially wisteria and rose. Flavour excellent when it meets the mouth, appealing minute lingering sparkle, followed by a perfect acidity-saltiness combination. Alcohol content 11.5% vol. 18 g/l is its sugar content. Optimal serving temperature 4-6°C Gastronomic matches ideal as an apertif. Perfect with fish starters, and with first courses. Packaging in 75 cl maxim bottles in boxes of 6. Grape variety Glera from 85% to 100%; in addition, according to guidelines, Chardonnay, Pinot bianco, and Pinot grigio are allowed up to maximum15%. Origin the Provinces of Treviso, Padua, Belluno, Venice, and Vicenza for Veneto Region, and the Provinces of Gorizia, Pordenone, Trieste, and Udine for Friuli Venezia Giulia Region. Winemaking accurately harvested Glera Bio-Vegan grapes reach the cellar, where they are transformed into must in which primary fermentation takes place, followed by decanting stages to clarify the wine that will later become spumante (sparkling) with the foam-formation stage. Sparkling wine technique the sugar needed for foam formation is added to the “base” wine before the same is placed in an autoclave where secondary fermentation takes place to reach required overpressure. It is right then that 47 Anno Domini Prosecco D.O.C. Spumante Bio-Vegan is born. Storage and ageing must be stored in a cool and preferably dark place, top aromatic freshness is released within the first year of bottling. Colour straw yellow, fine and persistent bubbles. Bouquet genuine, sharp, refined scents, with several fruity and flowery notes. Flavour pleasant lingering tactile carbonated feeling, followed by an appealing harmony balancing acidity and the sugary part, excellent lenght and persistence. Alcohol content 11% vol. Optimal serving temperature 4-6°C Gastronomic matches excellent alone as an aperitif with assorted appetizers. Suitable for accompanying all fish dishes, pasta dishes, and risottos, especially with vegetables; also a good match for white meat. Packaging in 75 cl maxim bottles in boxes of 6.
an elegant organic-vegan sparkling wine with no added sulphites and a fresh, velvety taste. A harmonious, very fruity wine, ideal for dishes based on both fish and seasonal vegetables. Vino Bianco Spumante Biologico Extra Dry Bio Vegan senza solfiti aggiunti Grape variety 100% Chardonnay. Origin Italy. Winemaking from a careful harvest the Biological and Vegan grapes enter the cellar where they are mixed to produce the must in which the first fermentation begins, followed by decanting to make a limpid wine which with the effervescent phase will then become sparkling wine. Sparkling wine technique to the wine â&#x20AC;&#x153;baseâ&#x20AC;? we add the organic sugars necessary to produce the effervescence. In the autoclave where the second fermentation takes place, once the desired bar pressure is reached we have the Organic Vegan Sparkling White Wine With No Added Sulphites - Extra Dry. Storage and ageing organic Vegan Sparkling White Wine With No Added Sulphites - Extra Dry is best stored in a cellar or place that is cool and preferably dark, in order to best maintain the freshness of its aroma. Colour a pale, bright straw yellow, with a persistent perlage. Bouquet neat, decisive, fine aromas with pleasant sensations of ripe fruit and pear. Flavour with a pleasant lightness and freshness, optimum harmony between sweet and acidic notes, this is a well balanced sparkling wine. Alcohol content 11% vol. Optimal serving temperature 4-6Â°C Gastronomic matches perfect as an aperitif. Goes well with fish based starters and first courses which have seasonal vegetables. Packaging in 75cl maxim bottles in cases of 6. Grape variety 85% Glera, and, as required by the law, up to a 15% of the following grapes: Chardonnay, Pinot Bianco, Pinot Grigio, Pinot Nero vinified in white, Verdiso, Bianchetta Trevigiana, Perera, long glera all the grapes are harvested in our wineyards. Origin the provinces of Treviso, Padua, Belluno, Venice, Vicenza for the Veneto Region, and the provinces of Gorizia, Pordenone, Trieste and Udine for the region Friuli Venezia Giulia. Winemaking selected and healthy grapes; soft pressing and 10-day test winemaking in steel tanks. After the second fermentation at controlled temperature in pressurised vats using the Charmat method, the wine is filtered and decanted with isobaric technique before being bottled. Storage and ageing in the cellar, at controlled humidity and a temperature of 10-12°C. It is recommended that it is always drunk young. Colour pale straw yellow with light lime green highlights. Bouquet pleasant, light, fine, delicate and long-lasting, fruity, with characteristic bouquet of Golden Delicious apples. Flavour velvety, fresh, fruity and lively, slight and smooth, with a fine perlage, full-bodied, harmonic, excellent acidity and alcohol, excellent long-lasting flavour, to be drunk young. Alcohol content 11% vol. Optimal serving temperature 6-8°C Gastronomic matches a classic Venetian aperitif, ideal with all meatbased starters, sausages, seafood salad and fish and shellfish pasta and rice courses. Perfect with white meats, grilled, boiled or fried fish with polenta. Packaging in 75 cl maxim bottles in boxes of 6. Magnum, Jèroboam, Mathusalem, Salmanazar, available. Prosecco D.O.C. Spumante Extra Dry Grape variety from 85% Glera, and, as required by the law, up to a 15% of the following grapes: Chardonnay, Pinot Bianco, Pinot Grigio, Pinot nero vinified in white, Verdiso, Bianchetta Trevigiana, Perera, Long Glera all the grapes are harvested in our wineyards Origin provinces of Treviso, Padova, Belluno, Venezia, Vicenza in the Veneto region, provinces of Gorizia, Pordenone, Trieste, Udine in the Friuli Venezia Giulia region. Winemaking it is obtained from selected and healthy grapes, and through 4-day whole fermentation in steel tanks; after “spumantizzazione” in temperature-controlled autoclaves according to the Charmat method, the wine is filtered and decanted with isobaric technique, and then bottled. Spumante technique the base wine is sterile filtered, the necessary sugars and selected special yeasts are then added and all is placed in autoclave to re-ferment until the desired bar pressure is reached. Storage and ageing best stored in a cool and dark cellar, this in order to maintain it’s aromatic freshness during it’s first year from bottling. Colour light straw yellow with greenish reflexes. Very bubbly when poured then maintaining a persistent perlage to the end. Bouquet pleasant, light, fine, delicate, persistent and fruity with a characteristic hint of green and golden apple, followed by floral notes. Flavour this wine is velvety, fresh, lively, fruity, light and fluid with a fine perlage; it is well-bodied and harmonic, and has very good acidity and alcoholic degree; it is very persistent on the palate and best drunk when young. Alcohol content 11% vol. Optimal serving temperature 4-6°C Gastronomic matches excellent by itself as an aperitif. Ideal with all fish dishes, salami and cured meats – also goes well with light pasta and rice dishes besides all white meats. A great all rounder. Packaging in 75 cl collio bottles in boxes of 6. Cuvée Bianco Spumante Grape variety It’s a cuvée of vineyards from the north east area of Italy Origin Veneto Winemaking when the grapes have reached peak ripeness they are carefully selected and softly pressed. The must is cooled and clarified using flotation technique. Once the alcoholic fermentation has taken place, the wine is again cooled to between 10-12°C and after 8 days it is collected, thus obtaining the sparkling white wine base. Sparkling wine technique the base wine is sterile filtered, the necessary sugars and selected special yeasts are then added and all is placed in autoclave to re-ferment until the desired bar pressure of 2.00-2.50 atm is reached. Storage and ageing in a dark humidity controlled cellar at a temperature of 10°C. Colour light straw yellow with persistant bubbles always in the glass. Bouquet fine, elegant, dry with hints fo apples and banana and white wild flowers. Flavour lightly bubbly and acidic, slightly sapid and very inviting. Lasting perlage. Alcohol content 11% vol. Optimal serving temperature 6-10°C Gastronomic matches ideal as an aperitif. Also great with all fish dishes and with most starter dishes. Packaging in 75 cl collio bottles in boxes of 6. Vino Spumante Rosato Brut Grape variety Pinot Nero e Raboso Origin vineyards in the Treviso countryside, surrounded by the Sile Rivers. Winemaking after a brief contact with the grape skins and cleaning of the must, temperature controlled fermentation at 16.5°C takes place for 90% of the production whilst the remaining 10% ferments in new barriques. In January, the cuvée is then prepared and the base wine is put into autoclaves, where the fermentation ends. The wine then rests for a further 6 months at a temperature of 4°C before being bottled. Storage and ageing in the cellar, at controlled humidity and a temperature of 1012°C. It is recommended that it is drunk young. Colour rosé with delicate, sparkling highlights. Bouquet pleasing, light, floral and reminiscent of small red fruits. Flavour dry and velvety, fresh, lively and fruity with nuances of small red fruits. Firmly structured and supported by the black skin of the grape made in rosé. Alcohol content 12% vol. Optimal serving temperature 8-10°C Gastronomic matches the low sugar content makes it suitable as an aperitif. An all-round celebration wine. Excellent with cold pasta, salads and f is h soups. Very nice with stewed eel or fish. Packaging in 75 cl collio bottles in boxes of 6. The Winemaker’s notes... the delicacy of making rose wine with black grapes was fundamental in achieving results such as the vivacity and freshness of the wine, as well as the elegance of the nuances of red fruit that come from the grapes. Gran Cuvée Bianco Spumante Grape variety a cuvée of Pinot Grigio e Verduzzo duly vinified in order to express to the maximum the natural attitude of these grapes. Origin Italy Winemaking when the grapes have reached the perfect balance between the quantity of acids and sugars they are carefully selected, harvested and softly pressed. The must is then cooled and clarified using flotation technique, then it is cooled to 18°C and the alcoholic fermentation starts. After the fermentation has been completed, the wine is again cooled to between 10-12°C and after 8 days it is collected, thus obtaining the sparkling white wine base. Sparkling wine technique the base wine is sterile filtered, the necessary sugars and selected special yeasts are then added and all is placed into the special fermentation tank until the desired bar pressure of 4.00-6.00 atm is reached. After the second fermentation the 47 Anno Domini brut sparkling wine is ready to be filtered and bottled at a controlled pressure. Storage and ageing in a dark humidity controlled cellar at a temperature of 10°C. Colour light straw yellow with persistent bubbles always in the glass. Bouquet elegant, smooth, at the beginning we have some fruity notes, especially apple and peach, together with some light nuances of spices and almond. Flavour excellent at the beginning, full bodied, slightly sapid, long lasting with a good acidity and persistence that makes it a well balanced wine. Alcohol content 12% vol. Optimal serving temperature 4-6°C Gastronomic matches ideal as an aperitif, it pairs well also with first dished as past with speck. Packaging in 75 cl botte bottles in boxes of 6. Baglietti Spumante Rosato Extra Dry Biologico Grape variety cultivar suitable for sparkling wine. Origin Italy. Winemaking the grapes selected for this Extra Dry Organic Spumante Rosato are harvested and vinified, fermented in stainless steel tanks at a controlled temperature of 16-18°C. After fermentation the decanting is carried out and the storage temperature is brought to 6-8°C. At the beginning of December, our winemakers define the Cuvée which will then be placed in an autoclave for the secondary fermentation during the year. Once the refermentation is over, the temperature of our Organic Extra Dry Rosé Spumante is brought to 0°C to halt further fermentation and to obtain tartaric stability. During this period, the yeasts deposited on the bottom of the autoclave are periodically placed in suspension and after about one month after the secondary fermentation, the sparkling wine is filtered and prepared for isobaric bottling. Storage and ageing it is advisable to store in a cool, dry and preferably dark place to preserve the fruity notes longer. Colour intriguing pink tones with delicate salmon nuances, fine and prolonged perlage in the glass. Bouquet to the nose it presents elegant floral notes followed by sensations of small red fruits. Flavour excellent initial impact, pleasant sensation thanks to the presence of carbon dioxide well amalgamated with the acidity and sugars present, well balanced for the duration in the mouth. Interesting persistence and final sensation. Alcohol content 11% vol. Optimal serving temperature 4-6° C Gastronomic matches excellent as an aperitif, perfect accompaniment to crudité, marinated fish and shellfish, it also goes well with raw ham. Packaging in 75cl customized collio bottles in boxes of 6. Prosecco D.O.C. Spumante Extra Dry Bio Vegan Grape variety Glera from 85% to 100%; in addition, according to guidelines, Chardonnay, Pinot Bianco, and Pinot Grigio are allowed up to maximum15%. Origin the Provinces of Treviso, Padua, Belluno, Venice, and Vicenza for Veneto Region, and the Provinces of Gorizia, Pordenone, Trieste, and Udine for Friuli Venezia Giulia Region. Winemaking accurately harvested Glera Bio-Vegan grapes reach the cellar, where they are transformed into must in which primary fermentation takes place, followed by decanting stages to clarify the wine that will later become spumante (sparkling) with the foam-formation stage. Sparkling wine technique the sugar needed for foam formation is added to the â&#x20AC;&#x153;baseâ&#x20AC;? wine before the same is placed in an autoclave where secondary fermentation takes place to reach required overpressure. It is right then that 47 Anno Domini Prosecco D.O.C. Spumante Bio-Vegan is born. Storage and ageing must be stored in a cool and preferably dark place, top aromatic freshness is released within the first year of bottling. Colour straw yellow, fine and persistent bubbles. Bouquet genuine, sharp, refined scents, with several fruity and flowery notes. Flavour pleasant lingering tactile carbonated feeling, followed by an appealing harmony balancing acidity and the sugary part, excellent lenght and persistence. Alcohol content 11% vol. Optimal serving temperature 4-6Â° C Gastronomic matches excellent alone as an aperitif with assorted appetizers. Suitable for accompanying all fish dishes, pasta dishes, and risottos, especially with vegetables; also a good match for white meat. Packaging in 75 cl customized bottles in boxes of 6. Franciacorta D.O.C.G. Brut The wine classic Franciacorta fresh and fruity, obtained from Chardonnay grapes, flavored by specially selected yeasts for over more than a 24 month period. Grape variety 100% Chardonnay Origin Franciacorta – made from a selection of Chardonnay grapes originating from highly rated hillside vineyards in the town of Erbusco. Soil profile – chalky and clayey. Yield per hectare 90-100 tons, this being the maximum allowed by Law. Vinification the grapes are carefully selected by grading and by acidity level, softly pressed and then fermented in steel vats at a temperature controlled 15°-18°C Conservation and aging best stored in a dark and dry cellar environment between 1014°C. The structure and elegance of this wine guarantees aging up to 10 years. Colour soft yellow with greenish reflections. Bouquet very encompassing and tied to a pleasing softness Flavour dry and velvety. Young tasting despite the secondary fermentation in the bottle and reminiscent of bread crust both to the mouth and the nose. Perlage fine and persistent Alcohol content 12.5% vol. Optimal serving temperature 6-8°C Gastronomic matches perfect with delicate dishes based upon white fish and white meats Packaging in 75 cl. champagnotta bottle supplied in cases of 6. Franciacorta D.O.C.G. Satèn Brut The wine the Franciacorta par excellence, elegant and delicate to the palate, a wine obtained by very careful selection of Chardonnay grapes strictly originating from the hillsides around the town of Erbusco. Rests with specially selected yeasts for 30 months. Grape variety 100% Chardonnay Origin Franciacorta – made from a selection of Chardonnay grapes originating from highly rated hillside vineyards around the town of Erbusco. Soil profile – morenic, loose chalky and clayey. Yield per hectare 90-100 tons, this being the maximum allowed by Law. Vinification towards the end of August the grapes reach to right level of maturity whilst retaining a notable level of acidity and freshness, at this point they are hand picked off the vines and subsequently softly pressed, then fermentation takes place in steel vats at a temperature controlled 15-18°C. Conservation and aging best stored in a dark and dry cellar environment between 1014°C. The structure and elegance of this wine guarantees aging up to 10 years. Colour soft yellow with greenish reflections. Bouquet intense and harmonic, notes of fruit and fresh citrus. Flavour pleasing and elegant. Perlage fine and persistent, soft and creamy froth. Alcohol content 12.5% vol. Optimal serving temperature 6-8°C Gastronomic matches aperitif of great class however also excellent with delicate fish based dishes. Packaging in 75 cl. champagnotta bottle supplied in cases of 6. Raboso D.O.C. Piave Grape variety100% Raboso Piave Origin part of the area of Treviso, Venezia. Winemaking using only hand selected healthy grapes, a 15 day maceration takes place with contact with the Raboso grape skins. After this the Raboso del Piave DOC is cleared and filtered and placed in 225 litre oak barriques for perfectioning. Storage and ageing in the cellar, at controlled humidity and a temperature of 10-12°C. Storing it for a medium to long time in the bottle allows an ageing and refinement that guarantees its elegant balance. Colour intense ruby red with bluish and garnet highlights, a result of the storage and refinement in the barriques. Bouquet the ageing creates the scents of maraschino cherry, violet and plum nuances, the latter almost to the point of jam. Flavour dry and austere. The nuances of ripe red fruit are supported by an acidity that’s still fresh, which guarantees that it keeps well over time. Alcohol content 14% vol. Optimal serving temperature 17-20°C Gastronomic matches very well with all international heavily flavoured or spicy dishes, even curries. Excellent with strong meats like game and venison, stews and herby cheeses. Packaging in 75 cl bordolese elite with natural corks in boxes of 6. Magnums available. The Winemaker’s notes... the preservation of the organoleptic integrity of this Raboso with its willingness as a long-lasting wine makes us call it an international wine that maintains the characteristics of the indigenous vine that’s typical of Piave. BATISTA Cabernet-Merlot I.G.T. Veneto Grape variety 60% Cabernet, 30% Merlot, 10% Raboso Origin part of the area of Treviso, Venezia. Winemaking hand-picked grapes; 20-day maceration in steel vats. After the alcoholic fermentation, the wine is decanted into 220-litre oak barrels where it completes the malolactic fermentation (after an initial decanting stage). The wine is decanted into medium toasted barriques (Allier French oak). The final stage of ageing lasts for 2 months. The Cabernet Merlot Batista is bottled when it’s 2 months old and is aged for another 8 months. Storage and ageing in the cellar, at controlled humidity and a temperature of 1012°C. Maximum ageing from 4 to 6 years. The smoothness may improve considerably over time. Colour intense ruby red with purplish highlights. Bouquet cooked fruit overtones: prunes, raspberries, maraschino cherries and characteristic vanilla. Flavour balanced, reminiscent of cherry jam, with an aftertaste of coffee and chocolate, it has a high content of tannins, acidity and alcohol, fullbodied and a long-lasting aftertaste. When it is still young, it has weighty tannins and is fairly smooth, which will improve with age. Alcohol content 14% vol. Optimal serving temperature 18°C Gastronomic matches red meats, game, pasta dishes with rich, game sauces, mature cheeses. Packaging in 75 cl arno bottles in boxes of 6. Magnums available. In honour of grandfather Batista, the family’s progenitor, we are proud to present this wine, the fruit of a painstaking selection of the best Merlot and Cabernet grapes. This year we have also introduced a small amount of raboso grape varietal, this in order to further distinguish our product. They are deliberately harvested late in order to carry out a slight, spontaneous, partial drying on the plant. This allows a natural concentration of the wine’s components, enabling it to last for a considerable period in the oak barriques. The maceration is prolonged so that all the sugar content transforms into alcohol when it comes into contact with the skins, in order to extract all of the grape’s aromatic components. The Winemaker’s notes... in terms of the Batista we have also striven to present a wine that makes an impression due to its unique and special characteristics. A considerable amount of the work is in fact done in the vineyard, where bunch thinning and the optimal selection of the bunches is done using the same methods adopted for both wines. Once the maceration has finished and after having done two rackings, the wine is transferred into the barriques, where it remains for a variable period. Only the best barriques are chosen for this superb wine. a warm libeccio wind, known as â&#x20AC;&#x153;Garbinâ&#x20AC;?, constantly brushes the vines. It is unpredictable and stubborn, the restless custodian of the uniqueness of our grapes, and it knows when it is time to steal scents and tastes from Venice lagoon, to transfers them into the soil, the vines, the grapes and, finally, into our wines. Storage and ageing in a dark and dry cellar at 10-14°C for optimum conservation. The structure and alcohol content of this wine is tied to the elegance and quality of the oak in which it was refined. This guarantees a further aging period of 5 to 10 years in your cellar. Colour sark, somber, intense with light garnet notes. Bouquet intense, warm, alcoholic, vanilla and bitter chocolate, small red fruits, followed by fruity plum jam. Intriguing final notes of tobacco and coffee. Flavour important, rich, potent, warm, encompassing, soft, pleasingly astringent, long and persistent Alcohol content 15% vol. Optimal serving temperature 18-20°C Gastronomic matches extraordinary matching with all long matured hard cheeses, perfect meditation or conversation wine. Packaging in 1 bordolese baros bottle 75 cl presentation boxes. Le Argille Cabernet I.G.T. Marca Trevigiana Grape Variety 50% Cabernet Sauvignon, 50% Cabernet Franc. Origin vineyards of the Treviso countryside surrounded by the river Sile. Harvesting this great wine is the result of a wise coupage of cabernet grapes, obtained through the Double Reasoned Maturation (DMR) technique, which is applied directly in the vineyard. This technique consists of clamping some branches before the grapes reach a complete maturation, so that the grapes start to age while still on the vine, resulting in a greater concentration of sugar that gives more structure and strength to the wine. Winemaking the selected healthy grapes are crushed are then placed in small vats to ferment where we perform the maceration, that allows a maximum extraction of color and tannins, resulting in a harmonic, hot, persistent wine. The wine is then aged into cement vats for 24 months, after that our staff performs a sensory test, deciding when is the best time to bottle the wine. After the bottling the wine is then aged further for at least 6 months. Storage and ageing in the cellar, at controlled humidity and a temperature of 1012Â°C. Storing it for a medium to long time (5 to 10 years) in the bottle allows an ageing and refinement that guarantees its elegant balance. Color intense ruby red with and garnet highlights. Bouquet at first a warm, complex, enveloping aroma, with perfume of mature berries especially blueberry, blackberry and wild strawberries. On a second moment hints of plum, black cherries and vanilla, at the end light nuances of tobacco, dark chocolate and green pepper . Flavor in the mouth it is warm, elegant, mature, complex and important. The long ageing in cement preserves all the exquisite peculiar flavor of the grapes, with notes of ripe berries, soft and pleasantly tannic. Long finish with a good aftertaste that calls for another glass. Alcohol Content 15% vol. Optimal serving temperature 18-20Â°C Gastronomic Matches this is a good conversation-meditation wine, excellent with strong meats like game and venison, meat stews and herby cheeses. It is also very good with fruit jam and desserts, particularly jam tarts and pastries. Our hint try it with dark licorice flavored chocolate. Packaging in 75 cl bordolese baros cement bottle in boxes of 1 with presentation boxes. Moscato I.G.T. Veneto Vino Frizzante Grape variety 100% Moscato. Moscato is a aromatic white grape variety which is the most diffused in the world. White sparkling wines are produced from this grape, which is easily identified by a clear and marked organolectic imprint. Origin Veneto region Winemaking once the grape has reached peak and balanced maturity, harvesting can begin. The grapes delivered to the winery, are separated from the stems and pressed, the must being separated from the skins during this process. The cooled must is then decanted and filtered then stored at 0-2°C. How it is made sparkling the must base is placed into a fermentation tank and specially selected yeasts are then added. Subsequently it is transferred into a steel autoclave for secondary fermentino and reach the destre pressure, this value ranging from 2.00 to 2.50 ATM (Bar). At this point the Moscato IGT Veneto Sparkling wine is cooled to -2°C in order to conserve it’s sugar residue and aromas, then after 10 days in these conditions, it is then ready for isobaric filtration and bottling. Storage and ageing best stored in a cool and dark cellar – note that it’s peak aromatic freshness is espresse within the first year of bottling. Colour to the eye, a nice level of froth is apparent, a good tone of yellow with delicate notes of green is noticeable. Brilliant and lively in the glass. Bouquet to the nose, the impact is elegant, delicate, fragrant, clear notes of orange, apricot, peach and rose are perceived. Flavour excellent introduction highlighted by the carefully balanced perlage which incorporates the sensations of sweetness, acidity and salinity. Alcohol content 7.5% vol. Optimal serving temperature 8-10°C Gastronomic matches excellent matched with dried cakes, jam, fresh fruit or dry pastries. Also very nice drank on it’s own. Packaging in 75 cl tappo raso bottles with cork closurein boxes of 6. Pinot Grigio Passito I.G.T. Veneto Grape variety 100% Pinot Grigio Origin Veneto region Winemaking very careful hand selection of the grapes followed by “appassimento” at controlled humidity and temperature in the fruttaio. When the grapes have lost 40-50% of their weight and/or 50% of the grapes have changed their color from greeny-yellow to amber, pressing then takes place. Fermentation then takes place in wooden barrels. Storage and ageing in the cellar, at controlled humidity and a temperature of 10-12°C. The high alcohol level allows for a medium to long ageing in the cellar with subsequent refinement. Colour amber. Bouquet typical of mature fruit with nuances of apricot, candied orange and yellow roses. Flavour intense, honey-like, dry with nuances typical of ripe apricots. Alcohol content 13% vol. Optimal serving temperature 14-16°C Gastronomic matches an elegant way of accompanying herbed cheeses, foie gras, dried biscuits and creamy desserts. Packaging in 50 cl bordolese bottles with natural corks in boxes of 12. The Winemaker’s notes... the great combinations of this wonderful passito provide many occasions for tastings and enjoyment, placing it among the best international raisin wines that best accompany the great traditions of foie gras, cheeses and biscuits. Aurore Franciacorta D.O.C.G. Brut The wine classic Franciacorta fresh and fruity, obtained from Chardonnay grapes, flavored by specially selected yeasts for over more than a 24 month period. Grape variety 100% Chardonnay Origin Franciacorta – made from a selection of Chardonnay grapes originating from highly rated hillside vineyards in the town of Erbusco. Soil profile – chalky and clayey. Yield per hectare 90-100 tons, this being the maximum allowed by Law. Vinification the grapes are carefully selected by grading and by acidity level, softly pressed and then fermented in steel vats at a temperature controlled 15°-18°C. Conservation and aging best stored in a dark and dry cellar environment between 1014°C. The structure and elegance of this wine guarantees aging up to 10 years. Colour soft yellow with greenish reflections. Bouquet very encompassing and tied to a pleasing softness. Flavour dry and velvety. Young tasting despite the secondary fermentation in the bottle and reminiscent of bread crust both to the mouth and the nose. Perlage fine and persistent. Alcohol content 12% vol. Optimal serving temperature 6-8°C Gastronomic matches perfect with delicate dishes based upon white fish and white meats. Packaging in 75 cl. flute bottle supplied in cases of 6.
characteristics, this also allows a perfect balance in the assembly. The double distillation used allows us to obtain a particularly elegant and a pure brandy unique and difficult to imitate. The next step is the aging. Its duration has been calibrated according to the amount of tannins and lignin in the wine. The distillate is placed for the first 18 months into 80hl oak vat, then the ageing process is ended into barrels made of different woods. These particular woods give to the brandy a deep amber color and transfer an unique aroma to the product. At first sight the distillate is tempting with it bright amber color with mahogany hues. The aroma starts with a wide range of sensations ranging from nuts (hazelnuts, figs) to crush (plum) to ripe tropical fruit, sweet spices (cinnamon, vanilla, walnut nutmeg) with hints of leather, chocolate, and tobacco (cigar box). In the mouth the distillate appears dry at the same time and “moelleux”, enveloping, velvety, in a word Armonico (with a capital A). The aftertaste sensations confirm what we tasted: spices ,tobacco with hints of honey and beeswax, with a well-balanced sensation with an extremely long persistence. In conclusion, this is a fine brandy that do not want to conquer you with its power but rather to seduce you with its elegance. Product History the Raboso grape Liquor made by the 47 Anno Domini Winery is today proposed in it’s most antique Veneto formula. The raw materials, rigourously all of natural terroir provenience, are the absolute guarantee of top quality and genuine origin of this light alcohol liquor. Production and Refinement the Raboso concentrate, pure grape sugars, but most importantly, the extraordinary infusion of Marasche cherries and wine alcohol, are the prime ingredients that characterize the superb end result. The original and careful resting period before bottling is the secret. Infact, the liquor matures in oak exhausted 225L barriques before decanting. Before bottling, It is triple filtered using pure linen cloths. Thus delivering to the consumer, this traditional and historic unoque Veneto Raboso liquor. Colour ruby red with violet reflexes, clear and consistent. Bouquet ample, very pleasant, slighthy peppery. Initially a fruity sensation with leading notes of Marasca cherry and wild blackberries. To the nose, delicious winey notes, hints of dried hay and spicy vanilla. Taste sweet, armonic and dry with great vitality. The bouquet reminds you of selvatic violets and wild cherries. Afteraste to the taste you feel the great warmth slowly rising, this then followed by soft and sweet fruityness from which, in very gradual steps, a strong cherry flavour is perceived Alcohol content 20% vol. Optimal serving temperature 20°C Packaging in 50 cl. bottle supplied in cases of 6. Product description is obtained adopting the unusual practice of blending a single varietal grappa with the must of Raboso grapes. It is a distilled product which aims to highlight the unique personality of the terroir and at the same time, transmit the most pure and most sensorial grape aromas possible. The skilled dosing of the various components, the brief refinement and the complex distillino operations involved, make the Raboso Grappa a truly unique product. A distilled liquor that delivers a completely new style and language. Serving suggestion a Chardonnay style tasting glass is recommended for use. Prior to drinking a brief ossigination time is also advised (510 minutes). Colour crystalline reflections. Bouquet fresh and lively with hints of fruits and winey notes. Taste dry, armonic and velvety. Elegant and intense, with hints of pear and candied fruits. Alcohol content 20% vol. Optimal serving temperature 12Â°C Gastronomic matches ideal to accompany fresh seasonal fruits or blended as an aperitif in fruit based cocktails. Packaging 50 cl. bottle supplied in cases of 6. Product description a intense and elegant grappa obtained from sapient resting in precious oak barrels. Carefully nurtured over time in the small oak barriques, this grappa acquires itâ&#x20AC;&#x2122;s own remarkable bouquet and personality, infusing itself with the sweet and characteristic aromas of aged wood. Serving suggestion it is recommended to best taste this grappa at ambient temperature using wide Bordeaux tasting glasses. Prior to drinking a brief ossigination time is also advised (5-10 minutes). Colour golden with amber reflexes. Bouquet to the nose you perceive the soft and smooth body with great notes of vanilla and the unusual fragrance of saracen wheat. Taste the end taste is persistent with taste of dried fruits and hazelnuts. Alcohol content 39.5% vol. Optimal serving temperature 20Â°C Gastronomic matches ideal to accompany all chocolates, dry fruit cakes and certainly a good sigar. Packaging 50 cl. bottle supplied in cases of 6.
the marc of our organic vineyards. formula with hydrating and antioxidant properties. agression by external agents like detergents and cleansers.